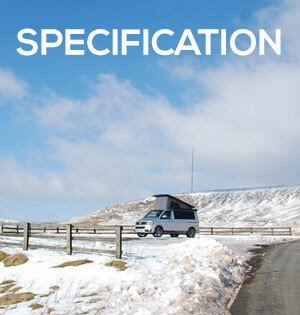 VW Campervans for Hire in the UK based in Bradford, West Yorkshire. Always wanted to explore the Peak District or the Yorkshire Dales in a VW Campervan? Volksleisure offer the best choice of quality built campervan rental. Hire a campervan from Volksleisure and enjoy the freedom and the flexibility of the open road for your touring holiday across the UK or into Europe. 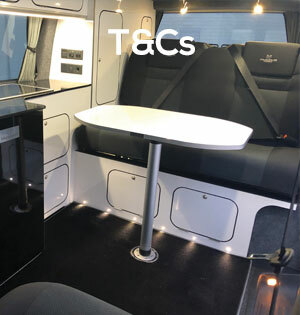 All of our campervans are kitted out with everything you will need to get on the road and explore. At Volksleisure we help you live the VW campervan dream, Practical and stylish campervan with iconic pop-top roof. If you are looking for VW campervan hire, check out our Zermatt 2 person VW campervan. The Zermatt is a new 2019 VW campervan with the iconic pop top roof and is available to hire from our Bradford Depot in the heart of West Yorkshire only 11 miles ( 30 min drive) from Leeds Bradford Airport. 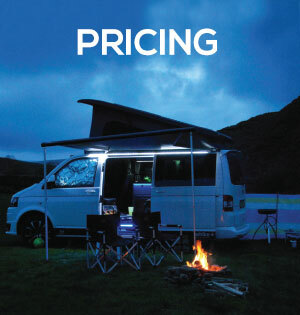 Enjoy the benefits of the VW heritage in a new, modern & reliable campervan. Compact, cool and functional, the Zermatt 2 person VW campervan for hire comes equipped with a spacious double bed, gas hob for cooking, fridge/freezer, sink, dining table, and electricity hook up plus the pop top roof for extra space and comfort inside the camper. The Volksleisure Zermatt VW Camper is a fuel efficient campervan designed to provide practical comfort for 2 people sleeping on the double bed. For additional convenience and comfort, portable toilets and tailgate tents can be added to make your road trip even more convenient. All our Zermatt models are seated for 4 persons travelling with fully integrated seat belts on all seats. Tour the UK and explore our fantastic coastline in your camper, stopping, shopping and cooking along the way. Pick the perfect location with the perfect view each day, every day. A VW campervan for hire is the perfect alternative to a large 2 person motorhome as its compact size makes driving and parking easy and practical. 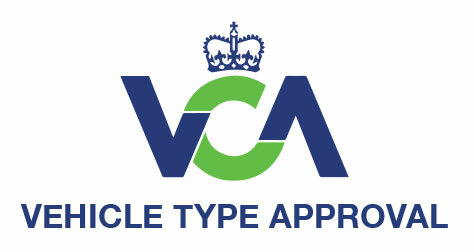 Our Volksleisure Zermatt model has been tested against specific performance standards set out by the Vehicle Certification Agency. This includes rigorous crash testing to ensure the structure of the vehicle and the seating systems are not compromised as a result of changes made to the base vehicle during the conversion. • Iconic pop-up roof for extra space and comfort – live the dream! • Great value versus car hire and B&B!